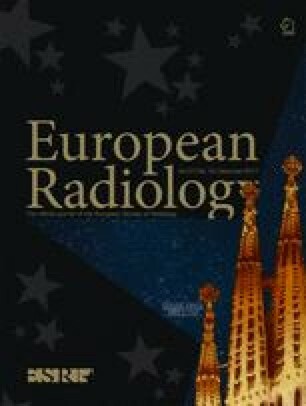 To retrospectively evaluate the feasibility of CT assessment-based direct surgical resection of part-solid nodules (PSNs) with solid components > 5 mm without preoperative percutaneous transthoracic needle biopsies (PTNBs). From January 2009–December 2014, 85 PSNs with solid components > 5 mm on CT were included. Preoperative PTNBs were performed for 41 PSNs (biopsy group) and CT assessment-based direct resections were performed for 44 PSNs (direct surgery group). Diagnostic accuracy and complication rates of the groups were compared. Pathological results of 83 PSNs excluding two indeterminate nodules included 76 adenocarcinomas (91.6%), two adenocarcinomas in situ (2.4%) and five benign lesions (6.0%). In the biopsy group, the overall sensitivity, specificity and accuracy for the diagnosis of adenocarcinoma were 78.9% (30/38), 100% (1/1) and 79.5% (31/39), respectively. Pneumothorax and haemoptysis occurred in 11 procedures (26.8%). In the direct surgery group, the respective values for the diagnosis of adenocarcinoma were 100% (38/38), 0% (0/6) and 86.4% (38/44), respectively. Seven pneumothoraces (15.9%); no haemoptysis occurred during localization procedures. There were no significant differences in diagnostic accuracy (P = 0.559) between the two groups. CT assessment-based direct resection can be reasonable for PSNs with solid part > 5 mm. • 91.6% of PSNs with solid component > 5 mm were adenocarcinomas. • PTNBs for PSNs with solid component > 5 mm had 79.5% accuracy. • CT-based resection for PSNs with solid component > 5 mm had 86.4% accuracy. • CT-based resection without biopsy can be a reasonable option in routine practice. The scientific guarantor of this publication is Dr. Chang Min Park. This research was supported by a grant from the Korea Health Technology R&D Project through the Korea Health Industry Development Institute (KHIDI), funded by the Ministry of Health and Welfare, Republic of Korea (grant number: HC15C3390). Of 86 lesions, 57 were identical to the study population in the previous reports (41 lesions in Lee et al. and 16 lesions in Kim et al. . Lee et al.’s study dealt with the diagnostic performance and complications of CBCT-guided PTNB in a large population and Kim et al.’s study addressed the accuracy and safety of CBCT-guided percutaneous transthoracic localization, whereas this work focused on pathological results of PSNs with a solid component larger than 5 mm on CT and evaluation of the feasibility of CT assessment-based direct surgical resection in comparison to PTNB. Thus, this work is substantially different from previous reports.